Cox’s Bazar was once known for its fishing, its tourist attractions, and having the world’s longest beach. Now, its famous beach has become the centrepiece for one of the world’s great humanitarian crises, and the region is struggling to cope with wave after wave of desperate people. It is a pretty and popular corner of Bangladesh, and 370,000 Rohingya refugees have flooded into it since late August - meaning a community larger than the population of Christchurch has popped up in a little under a month. 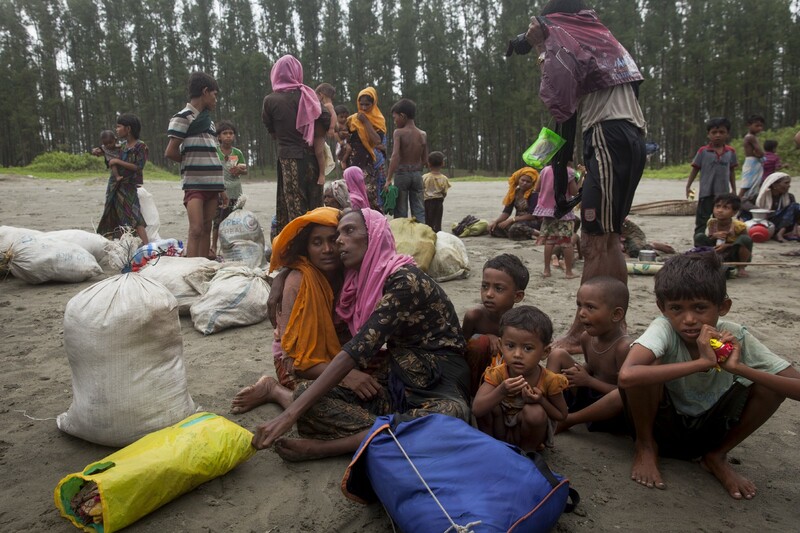 They are fleeing from persecution in neighbouring Myanmar, seeking safety and security. They arrive by boat, or cart, or foot. Those who can’t walk are carried. They have come in their hundreds of thousands. And more arrive every day. 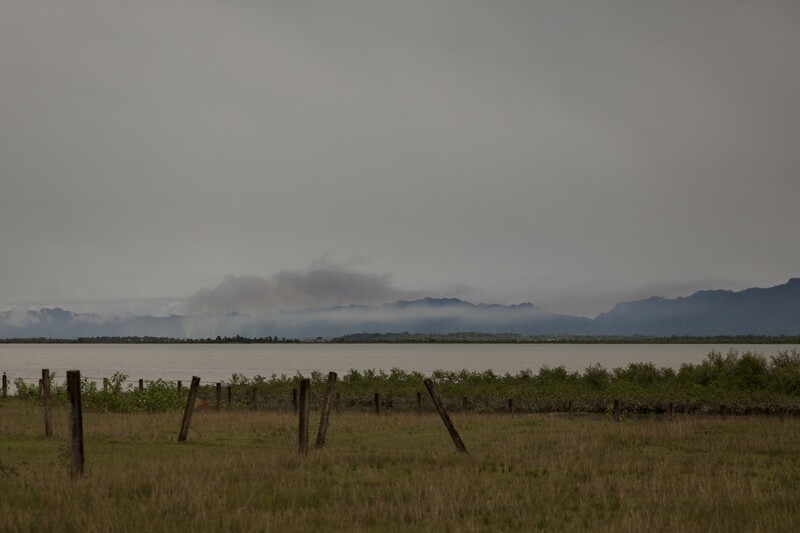 Across the water, smoke rises from villages abandoned by the Rohingya. As the conflict rages, homes and villages have been torched, and people have had to flee for their lives. 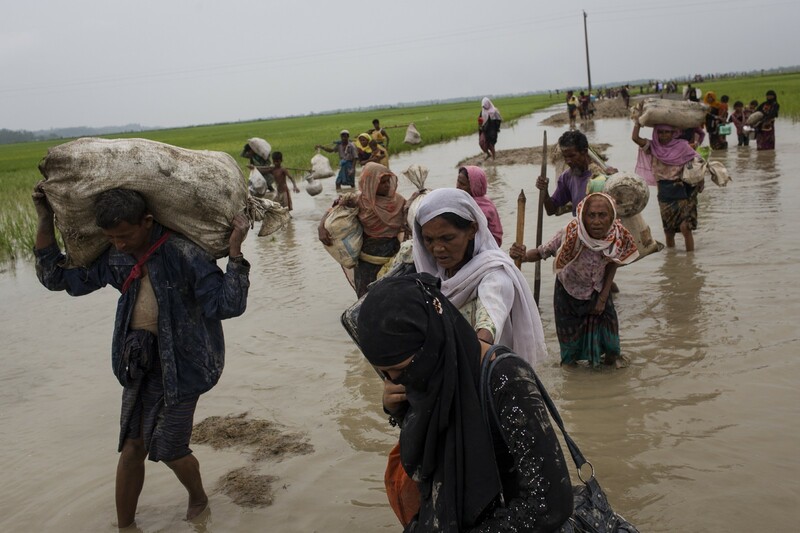 They are leaving their homes with what possessions they can carry, abandoning the rest to the flames, and making their way to safety in Bangladesh. Jean Lieby, UNICEF’s Chief of Child Protection in Bangladesh, says the scale and speed of the influx is unprecedented. “Just to give you an idea: 220,000 people entered Bangladesh in only 6 days — between 4 and 10 September,” she says. According to UNICEF’s preliminary data, 60% of those refugees are children. 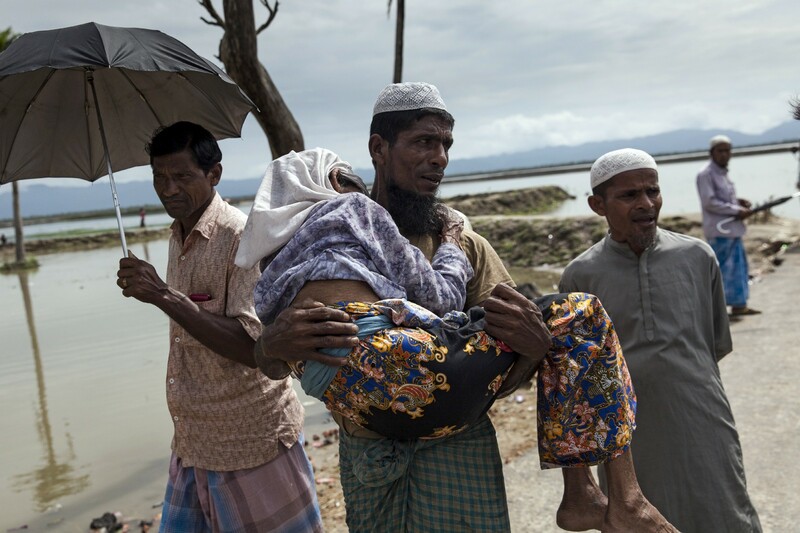 Around 222,000 Rohingya children have already been identified as needing urgent support. 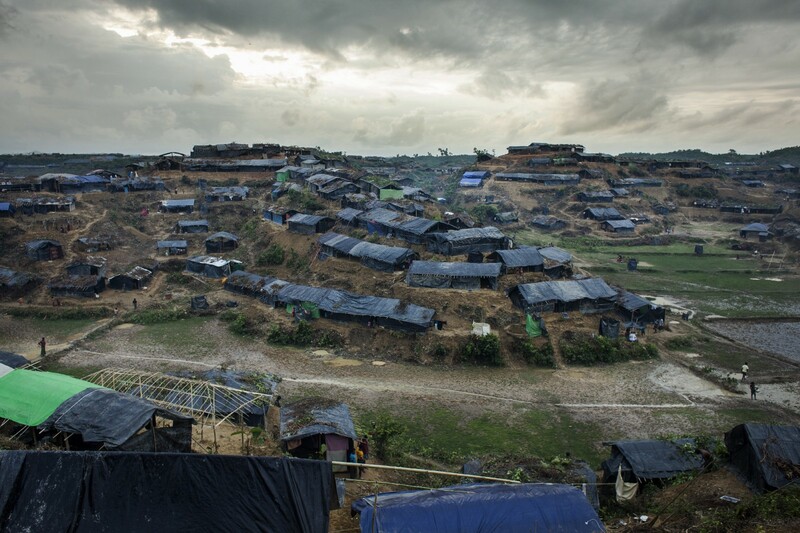 “The first thing you see here in the different Rohingya camps is the large number of children,” says Jean-Jacques Simon, UNICEF’s Communications Director in Bangladesh. Most of the children arrive into Cox’s Bazar with their mothers, as their fathers are either missing, dead, or have stayed back in Myanmar. Many of the refugees arrive exhausted. Most have walked 50 or 60 kilometres, for up to six days, and are in dire need of food, water and protection. 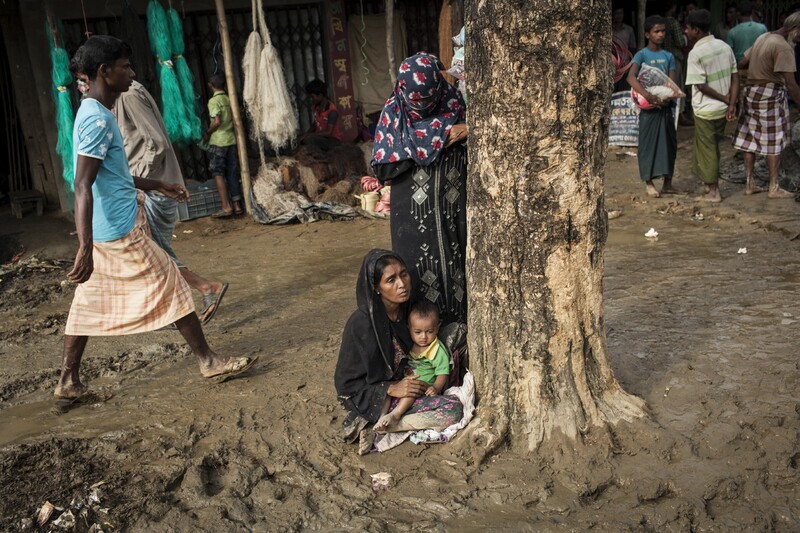 Some sit in the thick mud, cradling their children, trying to recover from the journey to safety. There is particular concern for children arriving unaccompanied by family or adults. Many children are found alone, and crying. Around 1100 unaccompanied children have already been identified, and urgent work is underway to reunite them with their families. “These children are at the forefront of this humanitarian crisis. They are at incredible risk,” says Ms Lieby. 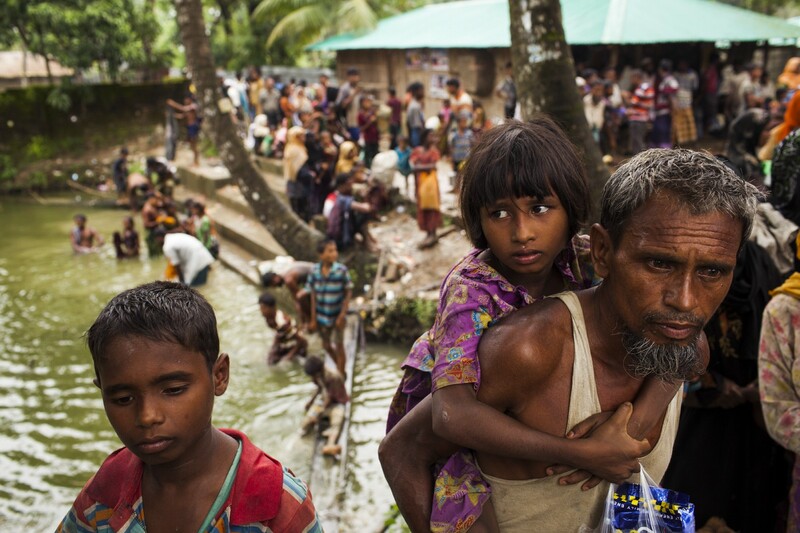 There are already an estimated 300–500,000 refugees who have already made their way to Bangladesh from Myanmar over the last few years. While many recent arrivals have joined existing communities, and settlements, the enormous numbers mean spontaneous camps are now springing up wherever people can find open ground. They are makeshift shelters, clinging to muddy hillsides, offering the most basic protection from the elements. UNICEF spokesperson, Marixie Mercado, says conditions are grim. “Children are clearly traumatized. 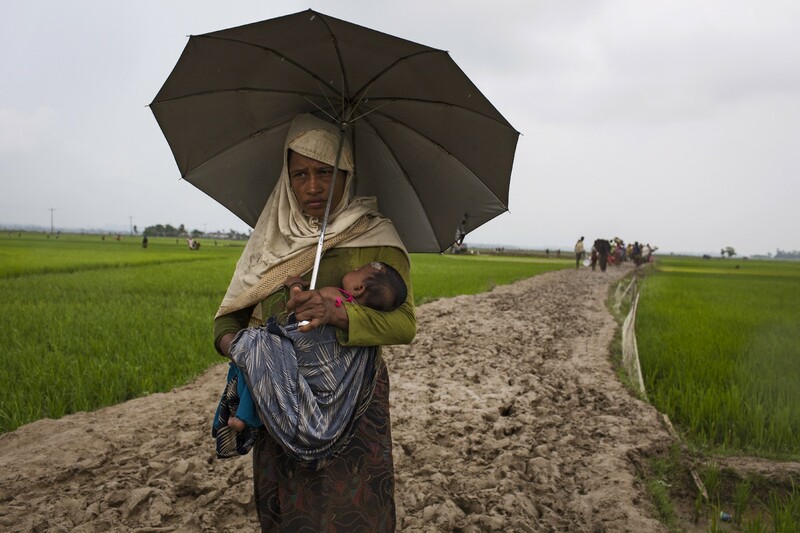 Shelter for the new arrivals is made of bamboo and sheeting, set up on mud,” she says. 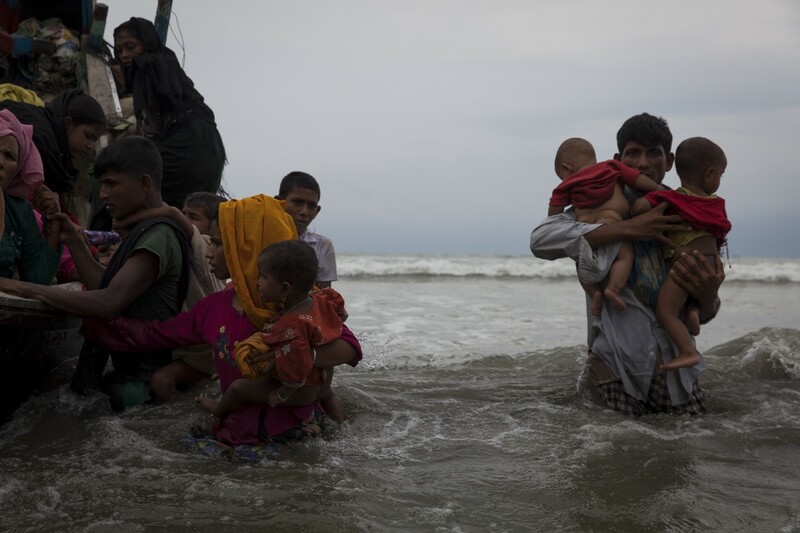 UNICEF staff are already on the ground at Cox’s Bazar, providing children with clean drinking water, shelter, medical assistance, and education, but resources are being stretched. Millions of dollars are already required to ensure the ongoing safety of children and their families. And that amount is growing, every day, with every new arrival onto Bangladeshi soil.